When my friend, Mary, posted a photo of herself skydiving on Facebook, I knew I had to ask her to do a guest blog for me. I found there was much more meaning and depth to her floating through the air than I could have imagined. Thank you, Mary, for sharing your story with us! I have had the pleasure to meet and get to know Barbara Hettwer in our Women of the Word Bible Study we belong to. Barbara is truly a Proverbs 31 woman; within these verses we learn that if the virtuous woman will give herself to her God-called work, she will be successful in her efforts. Our Father God gives us women definite instructions in Proverbs 31 and describes what our rewards will be. 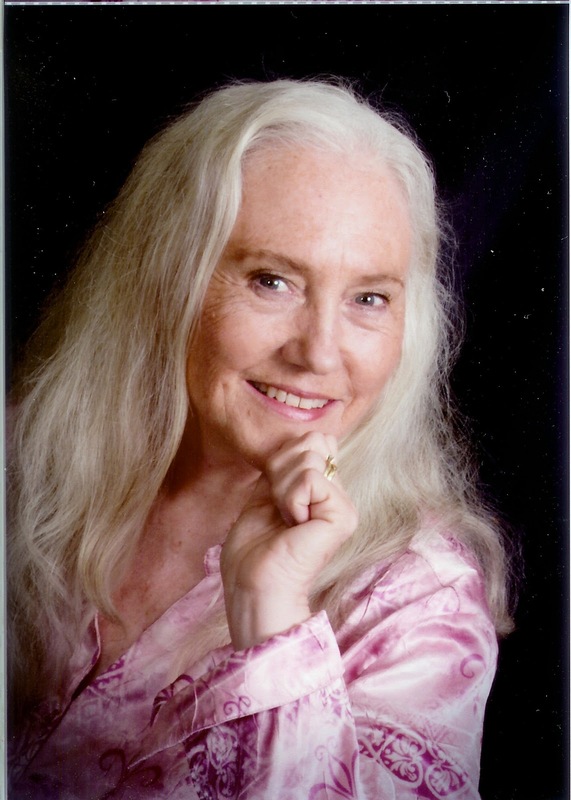 Ultimately, He will “give her the fruit of her hands, and let her own works praise her in the gates.” (Proverbs 31:31) I am honored and humbled to have been asked by Barbara to guest blog for her Life is an Adventure blog. This is a virtuous woman I am truly blessed to know. Barbara saw this picture of me sky diving and said, “Now that’s an adventure!” My sky diving was a celebration for me of turning 40 and receiving a cancer free diagnosis. In February 2002, I was diagnosed with stage 4 tongue cancer. 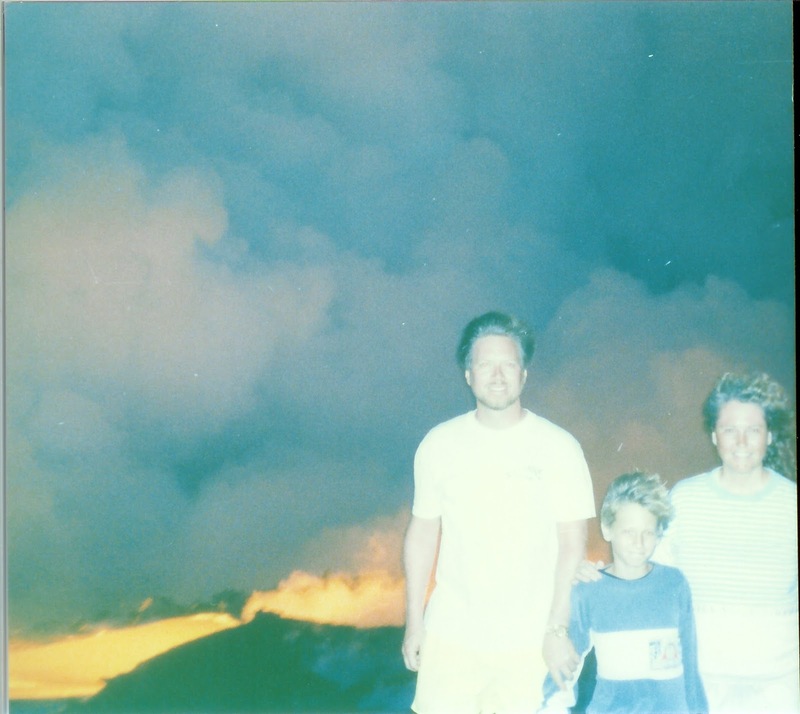 I had been to see my doctor every month starting in August 2001, and we tried several treatment options for what looked to be a canker sore I was told was due to stress. In December there was a four month wait to see the Ear, Nose, & Throat (ENT) specialist and I didn’t think anything of the time wait, because the sore had stayed the same size so I could still eat; and other than having a fever and what I thought was an ear infection that wouldn’t go away, I just needed to wait for my appointment. Within the first week of January 2002, my canker sore had erupted into a full blown open tumor that filled my mouth, and I could no longer eat. My now ex-husband came home every day to find me crying on the couch; and after a week of not being able to eat, he called the ENT specialist and told them I would not make it to my appointment scheduled in April. It was arranged for me to be seen at the doctor’s lunch time. Looking at my tongue, she immediately knew it was cancer. She arranged for me to have the biopsy the insurance company needed on Saturday that week; her day off. Within a week I had a feeding tube and port put in, and I had started Chemotherapy every Friday for eight hours and Radiation every day. My plan of treatment was scheduled for a 3 month period, and then would be starting all over again with another round of Chemotherapy for 3 more months. My first round of therapy took a lot out of me due to the medication and side effects. I never made it to starting my second round; I got so sick that the doctors wanted to give me time to recover before starting again. In September 2002, my colon perforated and I ended up in Portland Providence ICU for 2 months and then a care facility for another month before going home. I now had an Ostomy, and between being bedridden and the medication I was on, my right hip deteriorated to the point it needed to be replaced. I had my Ostomy for a year and a half before it was taken down, and I had my hip replaced three months after that. My bad health had a snowball effect with one problem leading to another. Yet through it all, because of the group of women I had around me, I knew and felt I was in God’s hands, and He would never let me go. In September 2001, my son Isaac went into kindergarten. His teacher, Gloria, invited me to join her ladies bible study group. These women studied the word of God with me, were there from the beginning, took me to appointments, held my hair back while I threw up, told me not to worry when I lost my hair, and always shared their homes with my family taking my Isaac in as one of their own. I am not glossing over this most difficult time in my life with my head in the clouds and rosy glasses saying everything was fine and my faith was rock solid. While in the hospital I flat lined, I was depressed, I was scared from one day to the next about what was coming my way and what would happen to my Isaac. I had to make a choice; our Lord taught me through these women who were there to support me that I could choose peace or wallow in self-pity and despair. Other than giving myself a five minute crying pity party when I needed to release that negative energy, I purposely chose peace, because my peace was not dependent upon my circumstances. I truly believe our Lord Jesus guarded my heart and mind through peace that surpasses all human understanding. (See Phil. 4:7) God’s word is the same yesterday, today, and tomorrow. God’s word will never change; perfect peace is promised, but not perfect circumstances. A Song of Salvation in Isaiah 26:3 says, “You will keep him in perfect peace, whose mind is stayed in You, because he trust in You.” (Italics mine) We serve a Prince of Peace who makes a way where there seems to be no way. We can choose self-pity amongst our difficulties or look to the One who is peace. If we keep our minds on Him, He will keep us in perfect peace. Yes, I could say my sky diving was an adventure, but getting there was the adventure. Skydiving was the celebration of the way that was made for me through a very difficult time. Just getting from Oregon to Munich should be enough of an adventure, but on Iceland Air it was easy. The adventure was Oktoberfest. 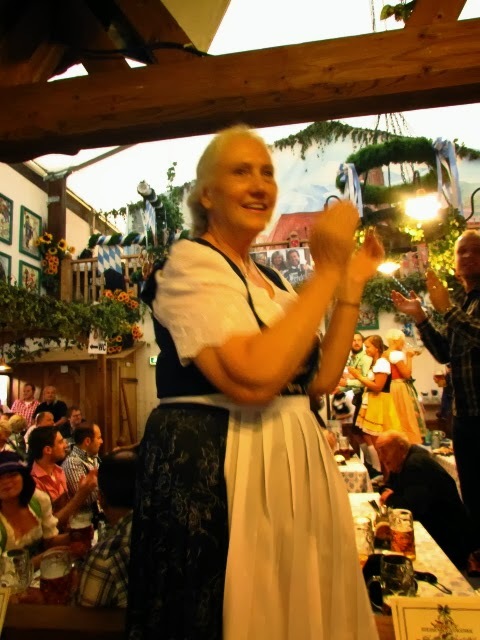 Yes, at 63, I danced on the table in my dirndl (and I don't even drink). The young Germans loved it and cheered me on. We only had to step over a few drunks on the sidewalk to get back to the S-bahn. Another adventure was riding in the back seat while my daughter-in-law drove 186 km/hr on the autobahn. Now, for you Yankees, that about 116 mph. Then there was Neuschwantstein Castle. This can hardly be considered a unique adventure when they surmise that 60 million people have visited it. The adventure was trekking from the bus down the hill to the castle, then up a flight of stairs in the courtyard for a good photo, back down, up 165 stairs inside and back down 181 to the kitchen, then up the hill to catch the insane bus ride down. The bus is large and the road narrow and winding. Some people got sick, claustrophobic, and refused the ride back down. Not me! I just held on and watched the 4 year old enjoying the ride "Whee!" is the same in German. I cannot leave out the crazy search for my great grandmother's birthplace. 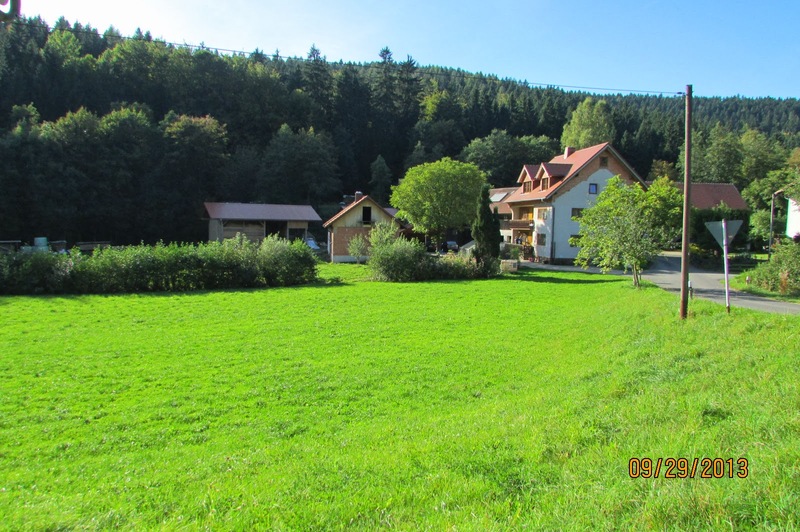 Now, we wouldn't just want to go to the town of Ahornberg and look for the smaller area nearby listed on her baptismal record, #23 Holzlmuhle. Oh no, I'm too smart for that. I found the latitude and longitude coordinates for Holzmuhl on line, and we used our car's navigation system to get there. A little more east! Now, try north. Oops! there's a mountain in the way! Uhhh...we're awfully close to the Czech border. When we finally found the coordinates it was a restaurant. After talking with several restaurant employees, they got an old German woman from the back room who told us how to get to Holzmuhl. 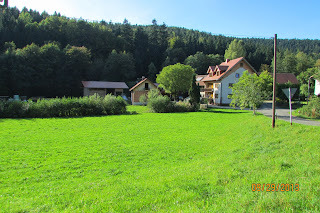 When we arrived the lady there said there had never been 23 houses in their village. So, the sane way...we put Ahornberg in our navigation system, drove there, almost...right before arriving we saw a Holzlmuhle sign. Hey, that's a different spelling! It was worth the effort. The current owners of the farm were very nice, talked with us for quite a while, and let us take pictures. Now, back to the adventure of daily life, which is quite exciting enough for me. Don't give up, you young folks! I have a new exciting career which started at 60. :) If you are frustrated: in a boring job or buried under piles of laundry, be encouraged. Those are great times which you will look back on as the good ole days - honestly. But exciting things can lie ahead also - totally different adventures. I never thought I would write anything, and here I am with a novel! God has much better plans for our lives than we could ever devise. Listen to Him, follow in His footsteps, and your life will never be boring! The Seamstress of Jamestown was written to be a pleasant story with a few twists and turns. It can be read for mere entertainment. However, if you pay attention you will find some good life lessons. Emma Randall learns about forgiveness and then a deeper level of forgiveness than most people ever reach. She also matures through being willing to change her opinions about people as she learns more truth about them. And, like all of us, she has to accept sad events in her life along with the joyful ones. The same is true of life in general: if you pay attention, you will learn as you go, growing better and more complete each day. Barbara on right watching Kilauea Lava flow by...Now that's an adventure! 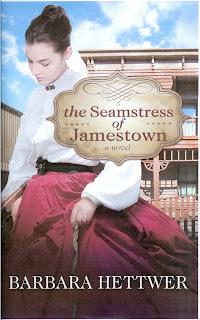 The Seamstress of Jamestown is now in print! Paperback: The paperback version of The Seamstress of Jamestown is now available through the publisher. The list price is $18.99, but you can buy it at www.winepressbooks.com for $13.86. By the end of August, it will be available at many other sites. E-book: The Kindle & Nook versions should be available by late August. Description: From an extremely young age, Emma Randall has been fascinated by stories of the Wild West and the California Gold Rush. The daughter of an aristocratic family in mid-nineteenth century Baltimore, Emma feels disconnected with the social life of Baltimore society and without direction … until she makes the radical decision to go West on her own, leaving everything and everyone she knows behind. Emma secretly convinces her family’s servants to teach her to cook, take care of livestock, and perform other skills she deems necessary for life in the unpredictable West. At the young age of twenty-one, when she can no longer stand the frivolous focus of Baltimore society, Emma boards a train to the great unknown adventure awaiting her in the California West. Emma walked to the post office in the afternoon and once again passed the slovenly figure of the girl in the ugly dress on the porch of the Gold Bar Saloon. Emma had a little talk with herself. She was moping about her own troubles, which were not so great. She had always helped people. She came here to build her character. Maybe she could help this girl. She could at least make her a nicer dress. On her way back she decided to speak with the girl. The girl feigned a laugh that seemed more like a “Hmmmph” adding a shoulder shrug and not a genuine smile, just one side of her mouth twitching upward. “You see, I’m a seamstress in need of employ. I thought perhaps I could make you a new dress. I am very aware of the latest fashions. Then, when folks ask you where you got your new dress, you could tell them I made it. This could bring me a goodly amount of business that I desperately need.” Emma cringed at telling this shell of a person her needs when she hadn’t confided in any of the kindly people she had met. But she was quite sure that this girl would not accept charity, so Emma had to make it seem that the waif would be doing the seamstress a favor. “Well, yes, but I’m sure any lady would like a new one.” Calling her a lady was a stretch of the meaning, but Emma did not have the vocabulary that would have provided a more suitable word. “Oh, yes!” Abigail exclaimed with the first sparkle in her eyes Emma had seen. Emma took the bolts to the counter and ordered the amount of fabric she knew she would need based upon her experience. As they had chosen the finest fabric in the store and needed much due to the gathering, the total came to an exorbitant $5. Abigail was looking at the candy counter, which gave Emma a chance to pull two coins from her purse. “Abigail, I’m sorry. It has come to $3. Is that too much?” Abigail gulped, reached into her purse and carefully counted out three silver dollars and handed them to Emma. The two walked back out into the sunshine and Emma asked Abigail to accompany her to her room at the National Hotel so she could get proper measurements. There were quite some sideways glances from the other guests as the two women walked upstairs. Emma had Abigail remove her dress, which she seemed very reticent to do. Emma was more repulsed by the undergarments than the gaudy dress. They were dirty and smelly! No wonder she had smelled cheap cologne. Emma held her breath and quickly took the measurements she needed and wished she could throw her measuring tape away. She felt it was contaminated with the plague. It was nearly two o’clock, so Abigail hurried out and back to the saloon. Now Emma had a true problem. How would she make a dress for a saloon girl? Her modesty would not allow her to make one quite as risqué as some of the girls wore, but she knew Abigail would not be permitted to wear a dress down to her ankles and up to her neck. Emma settled upon making a gathered waistline with a full skirt, like most of the girls had, but made it come just below the knees. The bodice she made fitted to Abigail’s still girlish shape with the neckline cut low but not gaping open because it would fit correctly, lying flat several inches below the collar bones. The wide neckline revealed most of her shoulders, so plenty of skin was showing without being too immodest. There were small puff sleeves that gave it a princess look without being overly fluffy. Emma truly was a seamstress and decided to have this dress reflect her greatest precision and care. She also put love into every stitch even though this was costing her money and she had little regard for the recipient. It was one of those sacrifices Emma had become accustomed to making throughout her life—mainly to forge her own character and perhaps bring some little blessing to another. It took her a week of hard work just to be ready for a fitting. She had only basted the dress together with large stitches. She went by the saloon in the late morning, but Abigail wasn’t in front. She went to the boarding house and asked for Abigail. She came sloughing down the stairs as though Emma were a bother. This made Emma angry after all of her hard work, but she did not show it. She asked Abigail to come to her hotel for a fitting. The dress was beautiful and Emma heard a little “Ahhh” creep out of Abigail. 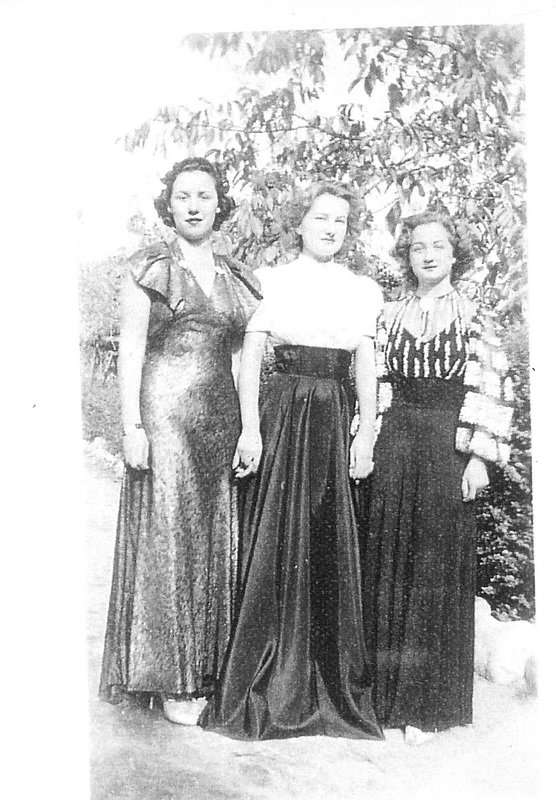 A few days later Emma delivered the dress and undergarments to her customer at the boarding house. At this rate Emma would be broke in a year and have to go crawling home to Daddy. Emma guessed that poor Abigail had never before felt like a princess. “Oh, you are very welcome. And remember, you have done me a great favor also.” Emma decided the sparkle in Abigail’s eyes was payment enough. Even if she failed in Jamestown, she would have brought one bright day to one lonely, sad girl. Follow Emma as her life weaves its way through the Minuet, murder, betrayal, lemonade and love, until she not only succeeds in Jamestown but becomes a blessing to her family, Abigail, and the entire town. Off to the Fair! I will have the privilege of being at the Oregon Author's table at the Oregon State Fair August 23 - September 2. I am truly looking forward to this opportunity to talk with happy fair-goers about my novel. I will have a special discounted price for the Fair and will be happy to sign books. Hope to see you there! I have had a wonderful experience putting together my first book. The writing itself was an exciting experience. The story just flowed from my fingertips at my computer. I truly knew my characters. If you asked me a question about one of them that was not mentioned in my book, I could tell you because somehow they were a part of me. I suppose that is the way most first books are: the characters are parts of the author or people the author has known. I have been coached through the editing process by the kind folks at WinePress Publishing. I made many mistakes and tried their patience - having to be told repeatedly in detail how to upload my manuscript. As an inexperienced writer, there was much for me to learn. Their editors explained basic writing principles that I, as a math teacher, just did not know. My main character, Emma Randall, is a perfected cross between my mother, the teachers I've met in the last ten years, and myself. 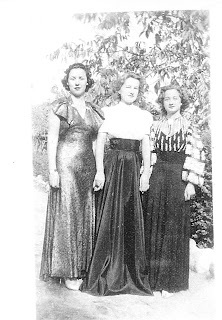 My mother was a seamstress in New York City. She worked at Milgrim's dressmaking house in New York City when she was 19 years old where she embroidered the initials on Kate Smith's underwear and cut out and basted together a dress for Eleanor Roosevelt. My next book will definitely be about my mother. It is not often that one gets the chance to write a review of a novel about a gold rush town and its premier hotel of the same vintage. The California Gold Country, which dates from the initial gold finds of 1848 resulted, almost overnight, into a series of towns or camps of a few hundred to a few thousand. From 1849 to the late 1890s, this was the most populated and influential section of the State. Many stories have been centered in this historical part of California, but none has been more compelling than this one. Barbara Hettwer has written a wonderful new book, that is both historical and a novel. 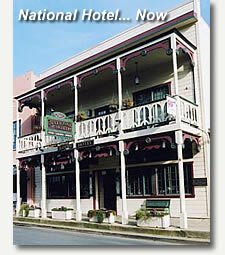 The Historic National Hotel, circa 1859, played a prominent role in the town of Jamestown. Hettwer has taken the folk lore of the town and the National Hotel in particular, and woven a story that is well written, fascinating to read and, I suspect, the first of many novels yet to be written. Today this restored hotel still thrives as a 9 room bed and breakfast and a highly acclaimed restaurant. It is located in the foothills of the Sierra Nevada Mountains, South of the City of Sacramento and North of Yosemite National Park. Welcome to my page for my exciting new book, The Seamstress of Jamestown! It will be released soon by WinePress Publishing LLC. Readers will be captivated from the start as they learn about Emma Randall, a woman of strong character born in 1849. Emma, an aristocratic young woman from the East Coast, trades a clean, sophisticated life in a loving family with servants for a life of grime, roughness, work, and loneliness while she braves the West on her own. Once her heart is sure of a path, she faces it with determination and courage. In Jamestown, California, Emma searches to find employment and finally succeeds as a seamstress—developing a successful business with ten employees—which in turn is snatched out of her hands. As a result, she struggles with depression but eventually begins again, as a teacher at her own young ladies’ academy. Emma marries a rugged but well-educated livery stable owner. They have five children and support each other through life’s ups and downs. She is matured and refined through every hardship she encounters. Emma struggles with disappointment and confusion, but reaches into the depths of her soul to accept the events she cannot change, and becomes a blessing to Jamestown and her family.